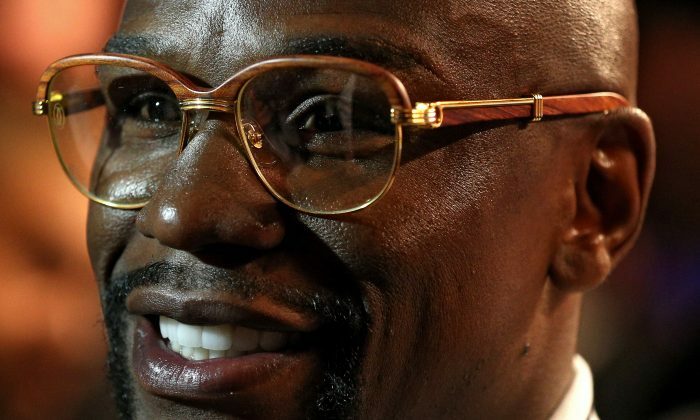 Boxing champion Floyd Mayweather, 39, announced his retirement after beating Andre Berto by unanimous decision last September, but Mayweather hinted that a return to the ring isn’t out of the realm of possibility when interviewed Saturday by Showtime’s Jim Gray. “Right now, I’m happy being on this side, but I’ve been talking with CBS and Showtime, and you just never know. But right now, I’m just happy on this side,” he said in an interview with Showtime. Though a rematch with Manny Pacquiao—who Mayweather beat last May in far and away the biggest boxing purse ever—was never discussed, it’s not outside the criteria that Mayweather laid out at the end of the interview that would lure him back in the ring. “If I came back, of course, it would have to be a nine-figure payday and probably a championship fight and a nine-figure payday,” he said.